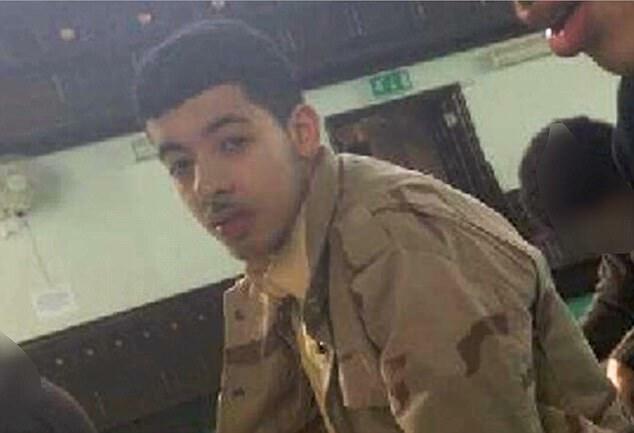 Councils and funeral directors have refused to deal with Salman Abedi's body as it emerged his corpse is currently being kept at a morgue outside Manchester. Sources have said authorities will do 'everything in their power' to stop him being buried, cremated or laid to rest in the city. The move comes just weeks after councils across the UK refused to deal with the remains of the Moors Murderer Ian Brady, who had wanted his ashes to be scattered in his home city of Glasgow. A source told the Manchester Evening News: 'Just like Ian Brady, every effort is going in to making sure that there is not a chance Abedi can be buried or cremated in Greater Manchester. Abedi's family cannot receive his body as his parents Ramadan and Samia as well as younger brother Hashem, 20, are in Libya. His father and younger brother are still in detention in the country. Detectives said Hashem had links to ISIS and was planning to carry out a terror attack in Tripoli. His elder brother, Ismail, 24, remains in custody in Manchester.